Agios Stefanos. 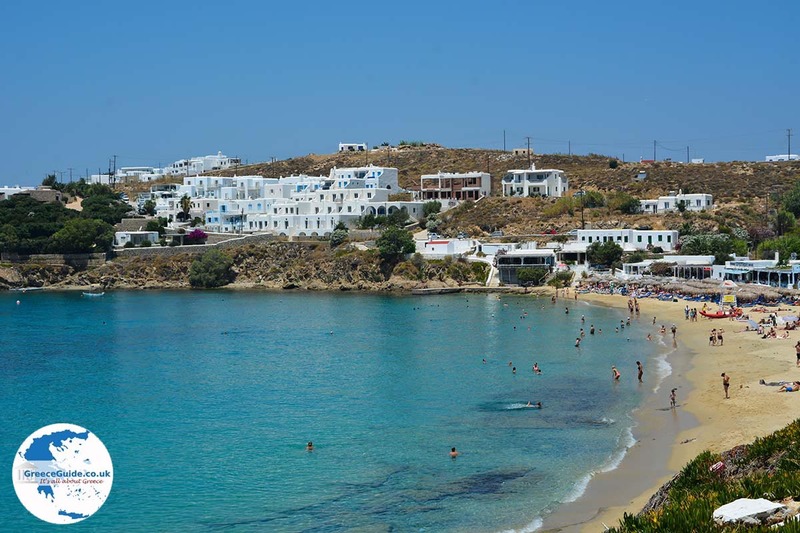 Agios Stefanos on the island of Mykonos is located less than 3 km from Mykonos town. 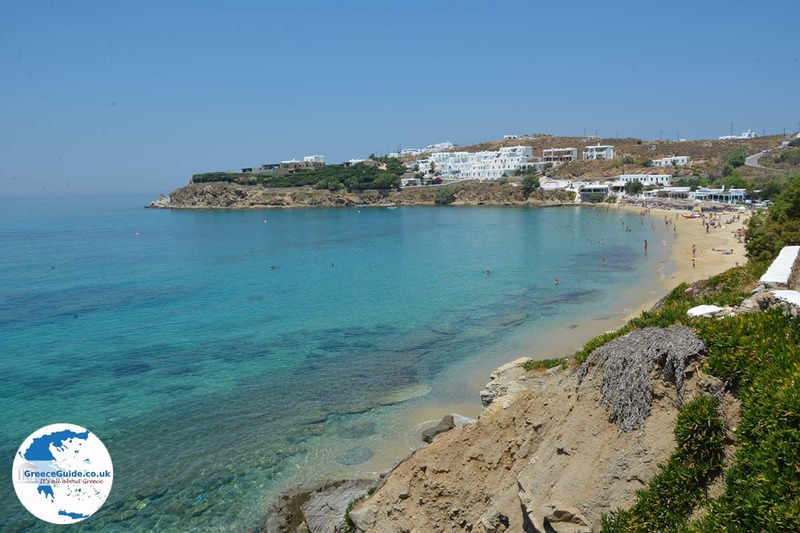 Agios Stefanos is within walking distance of the port of Mykonos in Tourlos. In Tourlos is the largest port of the island located. 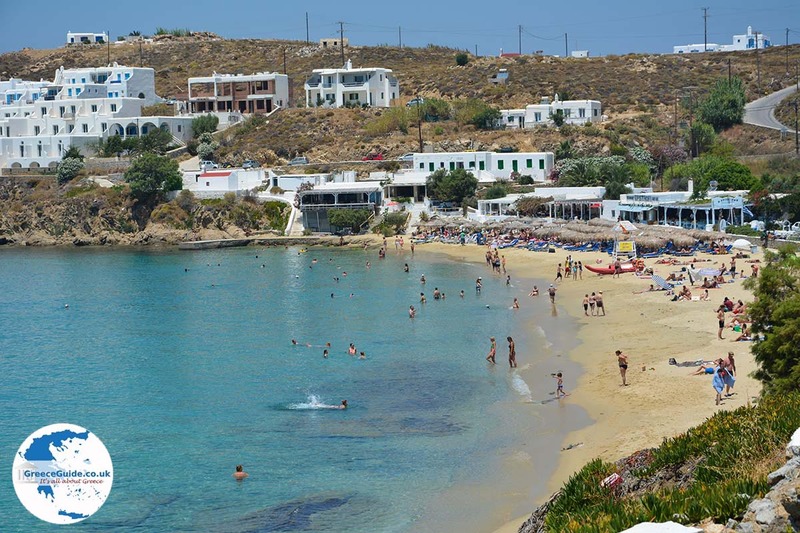 Agios Stefanos is a nice seaside resort with a beautiful sandy beach. It was named after the homonymous church with its red dome located on the northern edge of the beach. 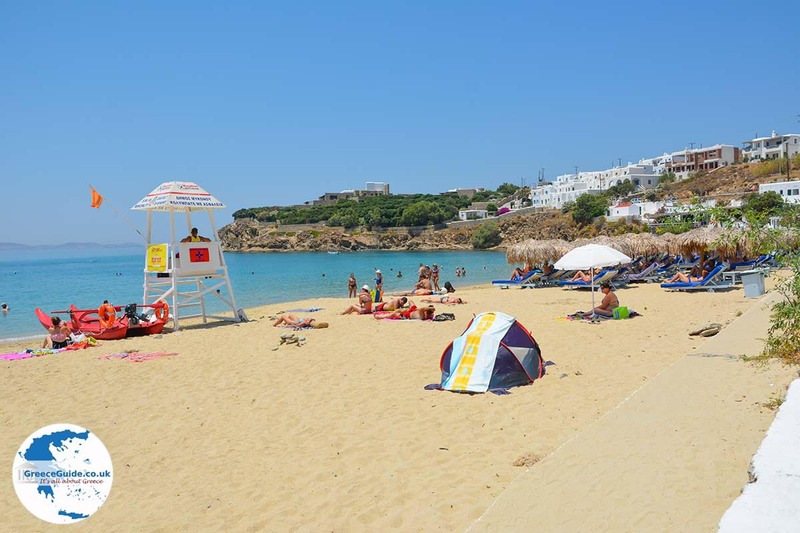 On northern part opf teh beach, there where the taverna 'Epistrofi' and beach bar 'Saint Stefanos' are, is the beach well organized and there are sun loungers and parasols for hire. 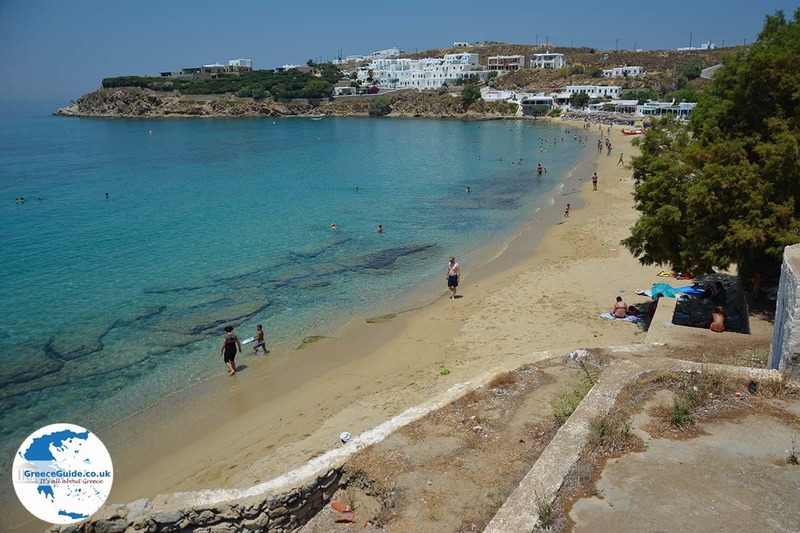 On the other hand, the southern part of the beach, there you can find a quite place to relax. From here and at a short distance to the harbor, there is the excellent tavern 'Matthew', recommended for everyone who likes good food. 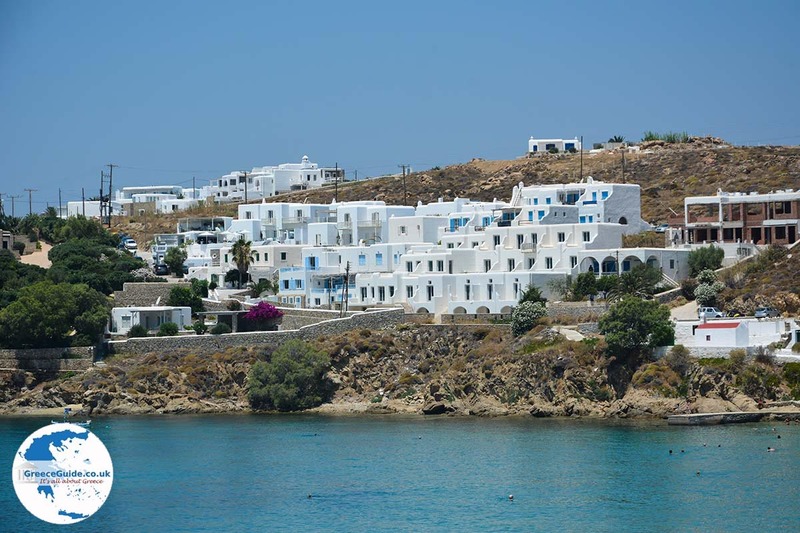 In Agios Stefanos are all kinds of hotels, apartments and luxury villas. 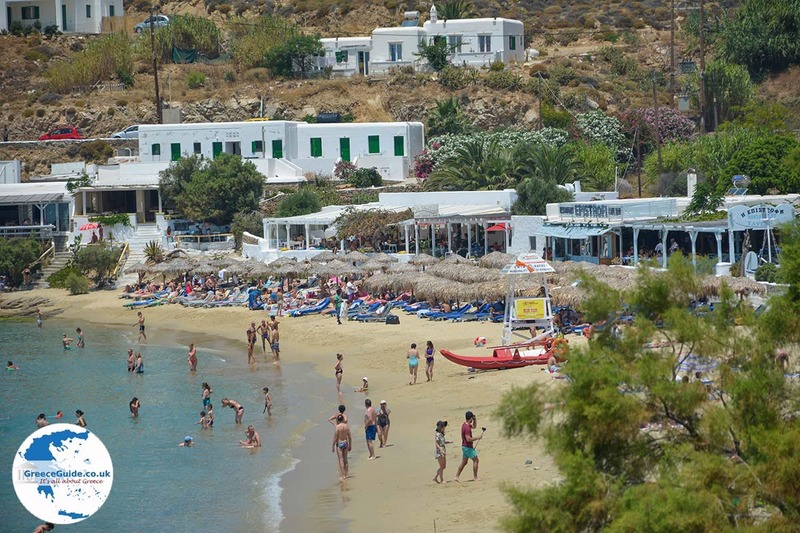 A famous hotel here is 'Mykonos Princess' located north of the beach. 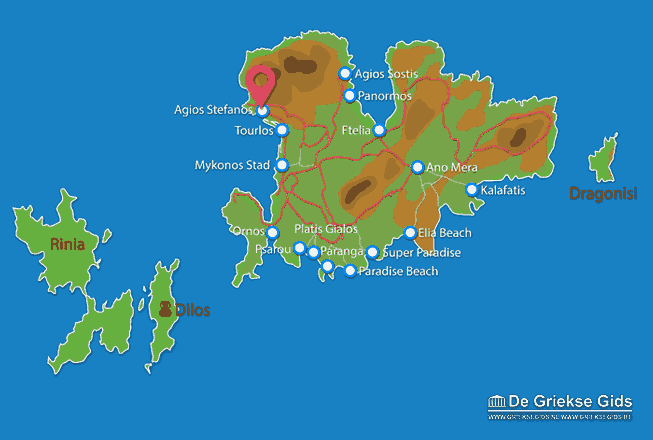 Mykonos: Where on the map is Agios Stefanos located?